If you answered YES to any of the above questions then you may be the right person to join our NEW Practice Patient Participation Group. 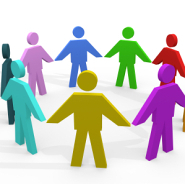 The patient group is an informal forum for discussion and liaison between the practice and the patients it serves. Meetings are held quarterly. Topics regularly covered include feedback about how the practice is performing, suggestions for improving our services, comment on local health related issues and fund raising. In addition, the Patient Group arranges a programme of informative evening talks throughout the year given by the GPs and other health care professionals. If you would like to get involved or would like more information please contact our Practice Manager Jeanette Hammersley. We now have a virtual patient reference group so that you can feedback any comments or concerns about the services we provide. From time to time we would also like to ask the members of the group some questions, such as what you think about opening times or the quality of the care or service you received. We will contact you via email and keep our surveys succinct so it shouldn't take too much of your time. We aim to gather as many interested patients as possible from as broad a spectrum as possible to get a truly representative sample. We need young people, workers, retirees, people with long term conditions and people from non-British ethnic groups. If you are happy for us to contact you occasionally by email please download a copy of our sign up form to print here and complete and return it to the surgery.